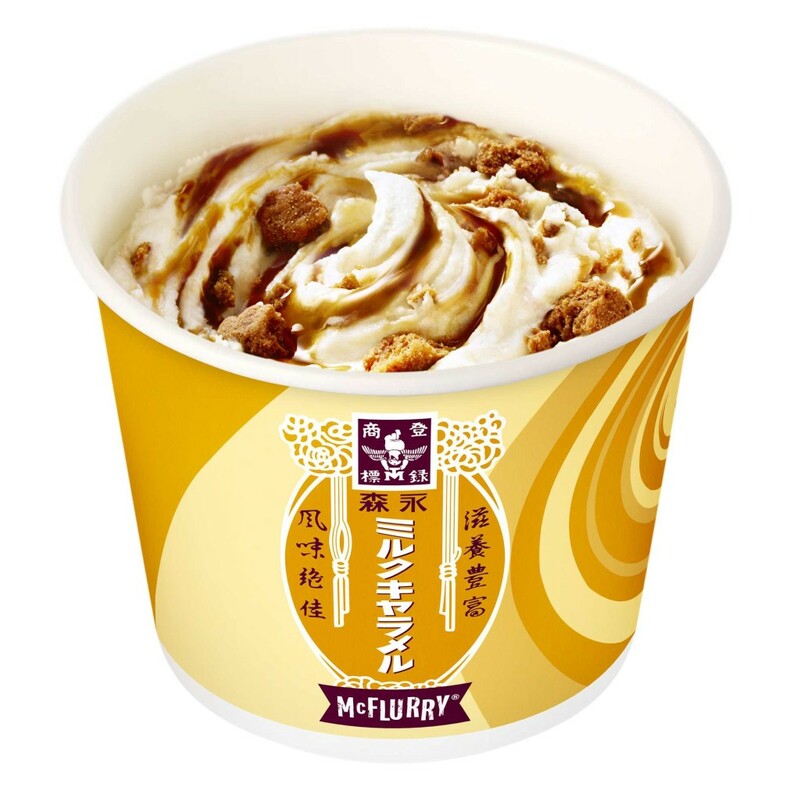 McDonald’s will sell a first-ever collaborative item with “Morinaga Milk Caramel”, “McFlurry Morinaga Milk Caramel” on May 31st for a limited time at McDonald’s throughout Japan. McFlurry was celebrated its 10th year anniversary this year. It is made with soft ice cream and topped with sauce and mixed at high speed to make it smoothly. 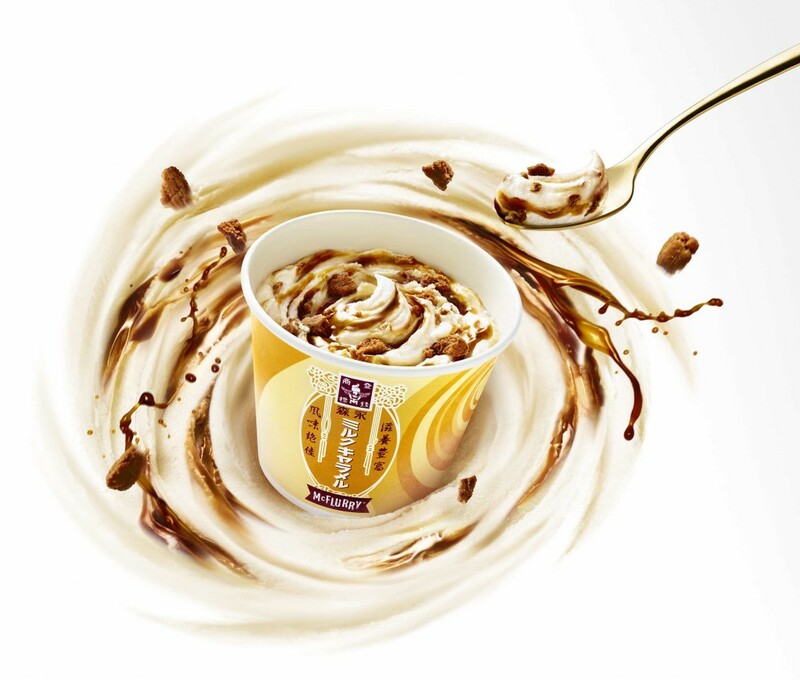 “Morinaga Milk Caramel” has over 100 years of history and finally they will collaborate to make a new McFlurry! This new item is a chilly sweet as its rich soft ice cream with special caramel sauce and mixed with crunchy caramel. Caramel sauce is imaged for “Morinaga Milk Caramel’s” unique taste and it is made as particular about the melt feeling in the mouth. In addition, salt is used for sauce as a secret ingredient to make its accent of sweetness. 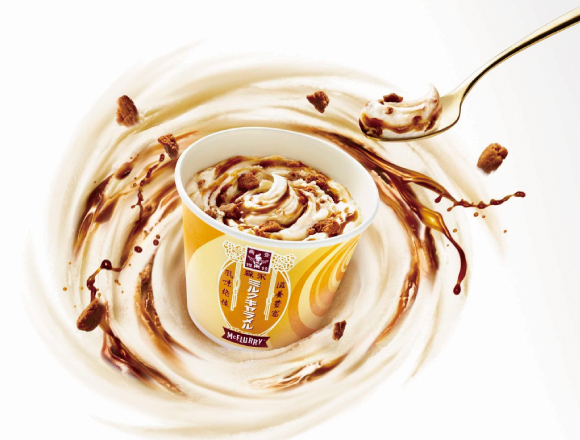 Rich and soft ice cream, special caramel sauce and crunchy caramel are the key ingredients to make “McFlurry Morinaga Milk Caramel”! Check out this wonderful collaborative McFlurry! Sales time: 10:30 a.m. to closing *24-hour stores are available until 1:00 a.m.